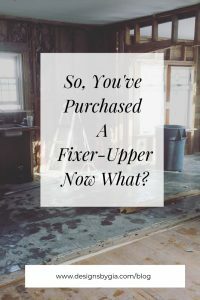 So, You’ve Purchased A Fixer-Upper, Now What? You’ve spent the last few months searching for a new home. You’ve re-calibrated your wish list several times before finally deciding that in order to get into the neighborhood that you like and stay within your budget, you had better consider a fixer-upper. It looks easy enough, so how hard could it be? Besides, it looks like fun. You know that you would like to add or change some of the features in your new home, so how hard could it be? Well, if you are a first-time homeowner or a first-time renovator, stay tuned, this article is for you! Fixing up an old or run down home has been a way of life for me and my family for as long as I could remember because I grew up with my parents being fixer-upper renovators. As a child coming home from school and walking through the front door, I was sure of one thing, somewhere in my path, there would be wet paint or freshly poured cement with piles of stone ready for stacking, electrical wires hanging from the ceiling, and of course, the furniture would always be in a different place. The perfect environment for this designer in the making. Years later, I took it to a whole different level. As my children grew up amidst a full-scale major renovation in what was their childhood home, a 200-year-old historical beauty, and a thriving Interior Design and Renovation business operating at full force by their mother, whose first office was in that home. Now that they are adults, I wonder if this must somehow be in the genes as I see my 3-year-old grandson building “staging” as he climbs carefully with his hammer in hand and my 1 1/2-year-old granddaughter standing in her pink tool belt, smiling as I teach her how to retract her tape measure as they help with the next family project. Future renovators in the making, for sure. Needless to say, after 20 years of renovating clients houses and many more years of living in numerous fixer-upper projects, I do have some advice for anyone who has found themselves head over heels for their vision of what this is going to be like. I know you want to get into the exciting stuff right away. The kitchen, the bathrooms, taking down walls. But allow yourself a little time to access the property close up. Take your time, go through the details of the house slowly. Allow the house to show you what needs your attention first. Believe me, it will! Sometimes new renovators go right at it tearing into everything on their wish list, only to find, a few days or weeks into the project, that house had other more pressing issues that really should be addressed first. Usually, these are the less exciting projects, like the roof, the furnace, electrical, or plumbing issues. And my personal favorite from past experience in 2 of my own homes, water well or main water line issues. Many issues can be brewing that you are unaware of even when you’ve had a thorough home inspection. So be prepared with your budget to address some of these issues, should they come up sooner than anticipated in your renovation project. 2 – Really access your goals for the house. Are you hoping to be living in the home for a while? Or are you going to be fixing it up and selling in a few years? Both of these scenarios should be approached very differently with regards to how to approach your plan, renovation, and budget. Be clear on your goals before you start. 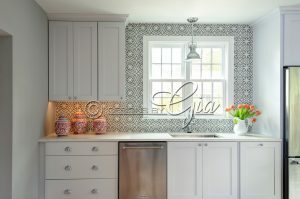 This will keep you from over-investing in design elements that only you think are great and might hinder the sale of your home if that is your intention. If you are here to stay, then you can create a plan of action based on your goal for you and your family. 3 – Have a detailed plan. After accessing the house thoroughly addressing any immediate issues, now it’s time to develop a detailed plan. This is a great time to involve a design professional who knows the ins and outs of transforming your home with a renovation. An experienced designer will be able to review your plan and assist with creating a phased plan of action. This is important because you don’t want to find out later when you finally get to do your bathroom renovation, that the adjacent rooms, which you renovated first, will now be affected in order to run plumbing and electrical for your new bathroom project. You certainly don’t want to spend time and money backtracking because you didn’t do things in a logical order. 4 – Life during a renovation. If you have the opportunity to do some or all of the work on your fixer-upper before you move in, then great. Plan those projects strategically. It’s much easier to address any floor work before you have a house full of furniture unless this doesn’t make sense for your timeline or project goals. If you are going to be living in your home and fixing it up as you go, really think about ways that you can make our life easier by progressing through the house and thinking out the logistics. This is something that I review with every client before a renovation. Even in the best of circumstances, your projects will cause some stress and logistical issues when your lifestyle is disrupted with a renovation. Don’t try to be your own contractor unless you have the additional time and money needed to correct expensive errors that you might make by learning as you go. Pick and choose the projects that you know you can compete and that are within your skill set, if you want the hands-on experience. 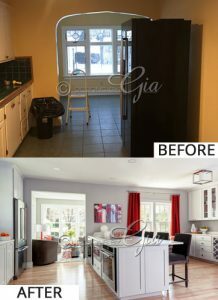 Remember that a poorly done renovation can cost just as much money as a professional renovation, usually takes much more time, and can actually decrease the value of your home if it doesn’t look great in the end. Hiring the pros will ensure you get the desired results without all the stress, guesswork, and endless hours trying to figure it all out. 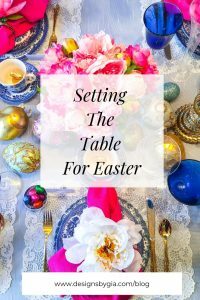 Creating a beautiful Easter table starts with choosing dishware. You can mix a few china or dishware patterns together or use just one pattern. If you are starting from scratch, white plates are a great choice because they are so versatile. You can use white plates and dishware with so many different tablecloths and flower options to create different looks for every holiday throughout the year. Use a solid color or a boldly patterned fabric that will complement your dishes. Don’t be afraid to experiment. If you don’t want to use a tablecloth, look for some inexpensive placemats. You could also add color and texture with a table runner. Choose something that pulls together your color scheme. Arrangements of spring flowers make a great centerpiece. Individual blossoms of spring color and also be grouped in individual vases to create a great Spring table arrangement. Choose one color or use a mix of 2-3 colors. Use something unusual to hold your flowers, an old antique pitcher, a clear canister filled with jellybeans can add lots of colors and create a fresh springtime look. Also, remember to create a centerpiece that allows you to see everyone at the table. 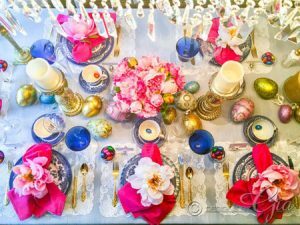 When creating an Easter table design, we can’t forget about the glassware. I believe that glassware one of the most important details of your whole table design. Whether you are doing a simple table setting for a casual gathering with just one piece of glassware per table setting, or a formal dinner with numerous pieces, this adds sparkle and dimension to your table design. If numerous pieces of glassware are being used, I like to vary the heights as much as possible, but be sure to keep all glassware pieces proportioned to each other, this creates movement and balance across your table. Choose clear glassware or a color that complements your table, I like to mix colors to create a nice balanced yet interesting look. Glassware doesn’t have to be expensive, there are so many options to choose from when purchasing, think about your china colors coordinate your selections with items that you already own. Sometimes I use different items at each place setting, don’t be afraid to mix and match. You might only have 3 glasses of one style and 3 of another but if you alternate each place setting, it will look cohesive. Add personality to your table by adding decorative details. With the addition of 2 young grandchildren in my family, numerous types of bunnies, both chocolate and gilded, have once again appeared on my Easter table. Use what you have, heirloom salt and pepper shakers, napkin rings, unique items that pull together the entire look of your table. It can be fun to incorporate meaningful items from family members, like great grandma’s crystal bowl, filled with candy or flowers. Just be sure it all ties in together in theme, color and proportion. Too many different things together will look cluttered and messy. Layer your table carefully, and just like putting on jewelry, if you are not sure, remove a piece. A little decorative detail goes a long way when mixed with the other elements of your table. I really enjoy having guests in my home. I enjoy the late night dinners and laughter, I also enjoy the early morning chats over coffee. But I do know that anticipating guests can cause a lot of anxiety, even those of us that love having guests can feel anxious because we want our homes to be comfortable for them. They key is to be prepared, spend a little time preparing well before your guests arrive and you will be free to welcome your guests knowing that you and your home are ready for their visit. If you have an actual guest room, great. Even a small space in an office can serve as a luxurious guest retreat if it’s well thought out. Furnish your guest room with flexible furniture, if this is a dual purpose room, think about the floor plan and traffic pattern when it’s not being used for an office and how it will be used as a guest room when it’s needed. Will you need to access items in this room when it’s being used for guests. Plan ahead. Leave a little closet space, with a few empty hangers, and some drawer space in the room so guests can unpack a few things. Before guests arrive, give your room a thorough cleaning, and dress the bed with fresh linens. If this room is seldom used, it might need a little freshening up a few days before your guests arrive. I love to welcome guests with some fresh flowers and a candle in the guest room. It’s a small touch, but it really lets your guests know that you have done something special for them. Try to use some nice quality sheets and bedding for the guest room. Even though this room might not be used regularly, no one wants to sleep on rough sheets, even for a few nights. Have some extra pillows and blankets nearby, it’s hard to get comfortable in a new place, so having a few extra pillows means that guests can prop themselves perfectly while finishing up that book or video. A few extra blankets will allow guests to get comfortable without searching around for these items in unfamiliar territory. Most guests will have chargers for their phones and devices, but it’s helpful to have an extra phone charger, or charging station, just in case. I like to have a power strip available for easy access to outlets. I also leave a small note with my home’s WIFI password in the room. Provide a few personal necessities, stock a basket or a drawer with a few necessities, just in case your guests need them. Some travel sized soaps and lotions, an extra toothbrush and toothpaste, and a few other little necessities, your guests will feel at home and you won’t have to start searching around if someone needs something that they forgot to bring along. I also add a few bottles of water and a few small snack items, no one wants to go searching through your kitchen for snacks after you’ve gone to bed, so just think ahead and leave a few things up in the guest room, just in case someone gets hungry, or let them know that you left them something special in the kitchen. I also like to have a full-length mirror somewhere in the guest room, inside the closet door works great, it’s hard enough to live out of a suitcase, a full-length mirror lets guests quickly access their condition before heading down for coffee. The summer months are just around the corner. That means people start traveling and you might have a few guest overnight guests in your home soon. 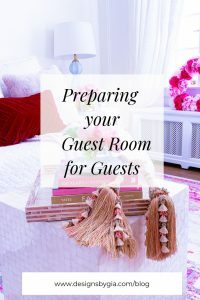 Even if you don’t have a designated guest room, you could use some of these tips to prepare your home for their stay. Just a little preparation time can eliminate those feelings being overwhelmed, leaving some time to really enjoy your guests. 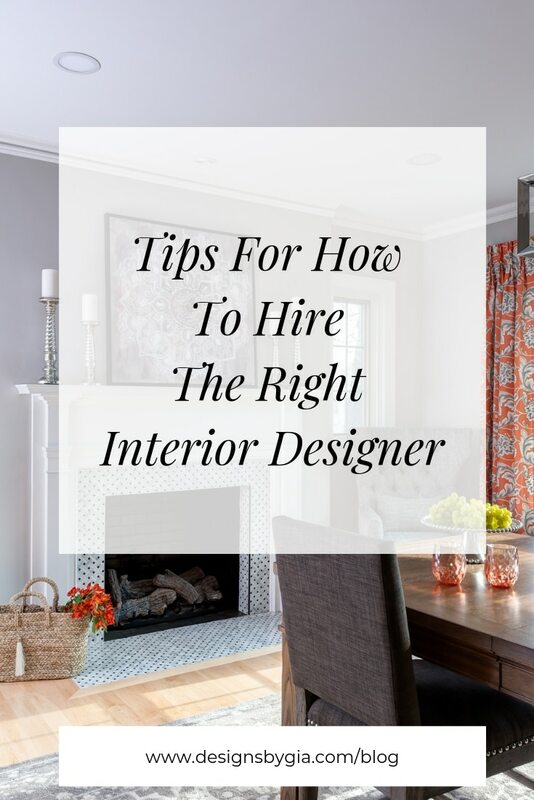 Tips for hiring the right interior designer. Hiring an interior designer isn’t always as simple as just calling the closest interior designer in your town. Interior Designers vary greatly in their range of services and areas of expertise. Here are a few questions that you can ask to determine if you have the right designer for your project. Hire the right type of designer for your project. Some designers specialize in a specific area of design, for instance furniture arrangement and procurement, some designers might focus on just custom draperies, some specialize in producing a specific style or look. Others might be decorators specializing in a quick spruce up, some might specialize in staging houses for the real estate market. Companies like mine, specialize in designing residential renovation projects, including kitchen and bathroom design and renovation, and some also provide full service options, providing everything down to the furnishings in these renovated spaces if desired. All are interior designers, all with varying skill sets and interests. So consider the type of project that you are looking to do, and reach out to a designer who specializes in this area. What type of experience does your designer have? So, you’ve asked about what the designer specializes in, but now, you should also ask where their experience lies. 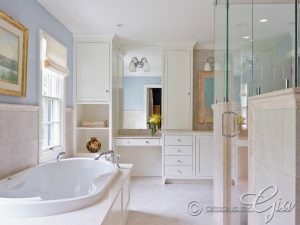 Be sure a designer designing your master bathroom has actual experience designing bathrooms for clients. Just because someone has learned design principles in school does not mean that they have experience working with clients, or designing and implementing complicated design and construction projects at a professional level. One of the main benefits to hiring an interior designer is that you will benefit from their experience in the field. Be sure your prospective designer has the experience needed to design your project. Is the designer you are considering a full time designer who owns a business or a freelance part time designer who only does projects occasionally? Both could have great design skills, but the full time designer will most likely have more resources and vendor connections to bring to your project and will be able to complete your project more efficiently. Most full time designers will cover a wider service area depending on the geographic location, and many will travel well beyond their area of service to reach clients that need a designer with their area of expertise. Also, just as in any other well run business, a good designer also has processes in place to help the client reach their goals and ensure the outcome of the project. This is very important because clients sometimes armed with more enthusiasm than knowledge sometimes want to skip important steps in the process. A full time, established designer knows where the common pitfalls are in the design and renovation project and has implemented organized systems and processes in place to avoid these pitfalls and guide the client through the project without jumping around and making mistakes. This is not always the case with designers who only do projects occasionally, this is also why many contractors shy away from working with part time designers. How responsive is your designer? Does the designer get back to you in a timely manner to answer questions? This becomes even more important when you are in the middle of a large project or renovation. Be sure you use a designer who shows professionalism and communicates with clients and contractors efficiently. You also want to be sure to hire a designer who listens to your initial thoughts and ideas about your project. Are you being asked about your desires and needs for the project? Is the designer listening and responding to create a design that reflects your personal taste? Or, are they trying to sell you on a hot new trend that they are dying to try out? Sometimes a client’s initial ideas might need some enhancement or may not be possible due to construction or budget constraints but a good designer definitely listens and hears what the clients goals are, and uses their skills to create a design that is right for the client, communicating throughout the process and creating something that truly reflects the client. Invest a little time and money by hiring the designer you are considering to come out to your home for a consultation. Most professional interior designers do charge for this service as they are always providing value with their ideas when they visit your home. An onsite design consultation can give you an opportunity to see how the designer works. Ask the designer for some general thoughts about the proposed project or about some other design dilemmas that you might have in your home. Ask some of the questions provided in this article and see how comfortable you are with the meeting. Hiring an interior designer can be the best thing you can do to ensure the success of any design project. We are a profession of passionate, creative, and inspired individuals who aspire to please their clients. I hope some of these ideas will help you to find the right professional for your project and help to clarify that not all designers are in fact created equal. 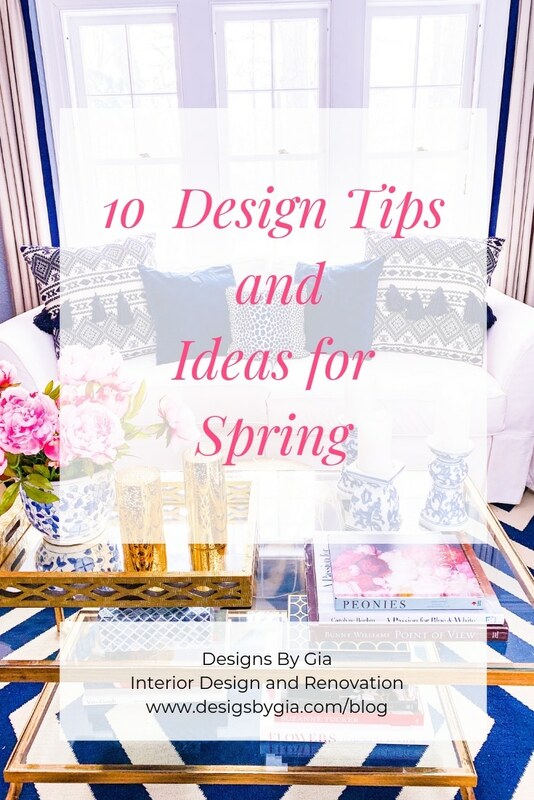 10 Design Tips and Ideas For Spring. After a long winter, the first few days of warmer weather bring a glimpse spring. These early spring days are met with excitement and anticipation from everyone who lives in a northern climate. But these previews of spring remind us that it is definitely time to do a little work on your home’s interior. Here are a few Design Tips and Ideas for refreshing and updating you home in the Spring. 1. Do a thorough spring cleaning. Add a few tasks to the normal cleaning routine, Washing down baseboards, lighting fixtures, and windows. Professionally clean your area rugs. winter takes it’s toll on the inside of your house as well as the exterior. Doing a complete cleaning will make everything look great. Clean out closets and cabinets, you’ll feel great once everything is cleaned and re-organized. 2. 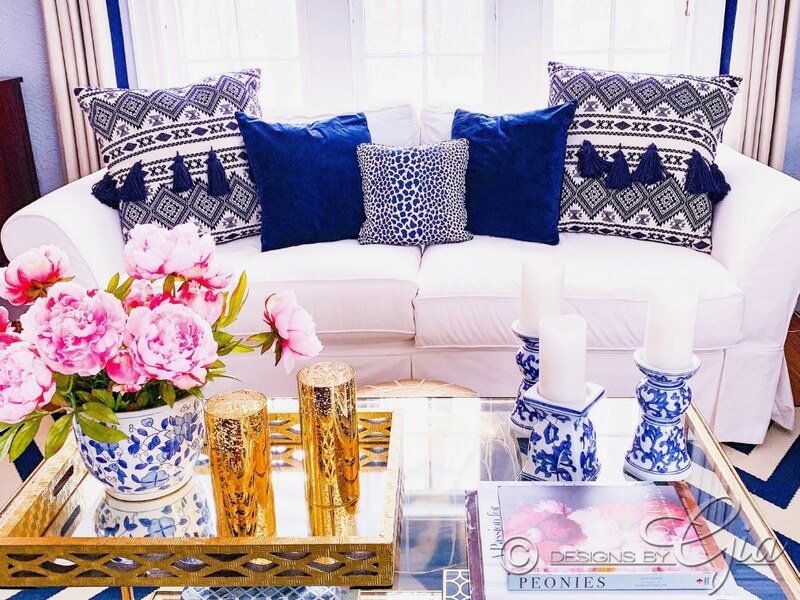 Change out your throw pillows on you sofa or chairs. A new mix of colors and patterns, using vibrant spring colors can really add some energy to the room. These can easily be switched out, so don’t be afraid to try something new. Add a decorative throw to pull the look together. 3. Move your accessories around. As you might be doing a bit of spring cleaning, this is a great time to create some new accessory arrangements. Add a few new pieces or just move the pieces that you have into a new arrangement. 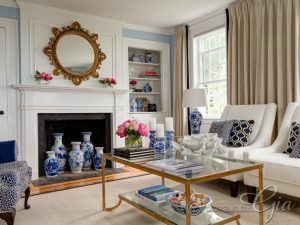 Show off some collections that might be hidden away in cabinet, a grouping of colorful vases or glass can freshen up the space. 4. Update your living room room with a few pieces of new furniture and custom window treatments. The options are endless. This will be less costly than a complete renovation but will totally transform your space. 5. Add flowers or greenery. Fresh flowers and greenery are great to incorporate into your spring decor when you can, even a few well chosen faux florals can add a little long awaiting Spring color to your room. 6. Organize your mudroom or entry area. Winter boots and coats can be cleaned, stored and relocated. Update or clean the entry rug. Plan and create some much needed storage with bins or built in cabinetry, so that next winter you will have this area a bit more organized. Change out batteries in all smoke/carbon dioxide detects since they are often located in these areas. 7. Update the master bedroom. Change out the bedding or plan a complete bedroom re-design. With a quick design meeting, we can help you plan and implement this project quickly, creating a luxurious master bedroom. changing or updates your colors in this space can give your bedroom a completely different look. 8. Add a few new decorative lamps, or just change out those old lampshades. This is a great tip to freshen up any space. Replace any light bulbs that might need replacing. 9. Prepare for your next renovation project. Spring and summer is a great time for kitchen and bathroom renovation projects. The warmer months allow for some outdoor grilling and dining while that new kitchen is being constructed. Also, planning that bathroom renovation around you vacation might allow you to avoid some of the inconvenience and coming home to a nearly completed renovated bathroom might be a great way to end your vacation. Meet with design professionals now to start designing that new kitchen or bathroom space! 10. Don’t forget to decorate your front door. A fresh coat of paint a new front door wreath can remind you and your guests that Spring is here. Also, this a a great time to replace the welcome mat, try something fresh and colorful. Show your personality with your selection. Everyone loves to watch design projects on television, especially the dramatic home renovation transformations. As a designer and renovator who has been in the business for 20 plus years, I’ve observed these shows from their early inception, to what exists today. Design shows have done a great job demystifying the actual role of an interior designer, revealing the true value of using an Interior designer’s services. An industry that once was confusing and mysterious to the client is now a little more understood. However it’s impossible for a television show, created solely for the entertainment of viewers, to fully explain and reveal the actual design and construction process in its entirety. So viewers don’t really get to see the full scope of how things work. 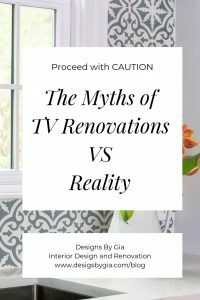 Some viewers understand this limitation, but I want to point out a few misconceptions for viewers that might be considering a renovation and have never renovated before. Here are some of the myths that will easily be shattered when doing a project in reality. On television shows, homeowners are kicked out of their home during renovations, returning well rested to a completed project, and surprise, your home is also fully furnished. We sometimes have clients that choose to travel while their project is underway, knowing that a full service company like mine can manage everything from start to finish. But most of the time, unless you plan for, and can afford a hotel for 4-6 weeks, depending on the scope of your project, you will be living in your home during most of the renovations and you should plan accordingly. If a kitchen or bathroom is being renovated, make some plans as these rooms will be unavailable during construction. We usually assist our clients in making any plans for a temporary kitchen set up before we begin a kitchen renovation. We will also recommend a progression process that might lessen the inconvenience. Having a realistic idea of how the project will proceed and how you and your family will adjust during construction will definitely help you deal with any inconveniences. Also, we do have those exciting reveals when a client hires us to completely furnish the home as well as renovate it, but on the larger projects, the client is seeing the project as it progresses, so we actually have numerous exciting days instead of one. When we are just furnishing a home, and not renovating, then you can leave for one day and come home to a big reveal. Spend entire budget in the beginning. Have a contingency plan beyond your quoted projected cost. On television you see an unexpected problem come up and then the homeowners are asked what they want to eliminate from the original project, the reality is that materials have already been ordered, things have already been started or purchased, so plans that change drastically from the original plan, once construction begins certainly can happen, but often come with a significant cost. Avoid big design changes once construction starts. This is why having a thorough, well planned design is so important, it is easier and much less expensive to make changes on paper before construction begins. You should have a contingency budget to cover unexpected expenses, like unknown issues that might lie within your existing home and additional small projects that you would like to add to your scope of work during construction. 2 minutes after the project is discussed, your project is instantly rendered with flying objects and furnishings, then immediately we are handing sledge hammers to clients and kicking through walls. 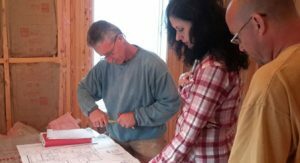 A thorough assessment of existing conditions is done, deep design discussions with clients are scheduled, and a thorough design plan which may include drawings or renderings is prepared. All material selections are carefully and thoughtfully prepared by the designer and reviewed with the homeowner. Once quotes and revisions are approved, all materials are ordered, permits are filed, and your project is scheduled. Demolition is done carefully and methodically to insure the safety of you and your home, and for the ease of debris removal, so don’t be surprised if your contractor doesn’t hand you the sledge hammer, and spends more time unscrewing and carefully removing things than he does smashing things. But, for the record, demo day is still extremely exciting as it’s the beginning of your home’s transformation! Contractors can start your project immediately. A successful renovation involves proper planning, which includes contacting reputable tradesmen months before your project starts. This also includes discussing the project in detail, providing them with the proper information and specifications needed, then scheduling work well in advance of when you will need them. If you are managing a project yourself and do not plan properly, don’t be surprised when you cannot get a reputable plumber or electrician to drop everything and tend to your project. Managing a construction project involves a lot of moving pieces, and a thorough knowledge of construction protocols, this is best left to the pros as it is costly to learn by making mistakes on your home. This can also extend the amount of time your project take to complete. You can make material selection as you move through your renovation, with everything being chosen with just a quick shopping trip. 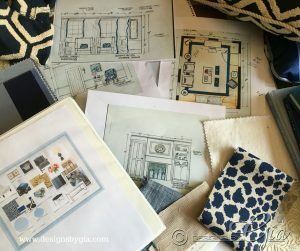 Sourcing the best materials for your project takes time and involves thorough planning. Material selections with my clients involves several appointments to view samples from vendors, some design discussion and possibly a few trips to look at products. Numerous products have long lead times so choosing items in the middle of your project will limit you to items that you can source and obtain quickly. Some products look similar but vary greatly in quality, so you must know where to compromise and what you are compromising while making these decisions. Budget talks are short and sweet. It might take a homeowner some time to decide what their budget is for the project, and their scope of work might have to change based on their budget..Construction projects are costly in real life, and there are no sponsors and special pricing from vendors in reality. We take time with our clients talking about a realistic budget for the project that we are discussing, and we prepare a thorough quote for our clients based on exactly what we are building. This process takes a little time but it allows a client to understand project costs from the beginning. This will help them decide on a scope of work that best fits their budget. These careful decisions will ensure that you are making a great investment in your home. Researching the cost of materials will give me an idea of what my project will cost. Designers, architects, structural engineers, electricians, plumbers and contractors all charge fees for their services and must be accounted for in the project budget, along will permit fees and any necessary construction documents. These fees are not often discussed on television and often give a homeowner a distorted view of what project costs really involve. The priority of this renovation is empowering homeowners, creating sponsor sales and good tv. Viewers forget that professionals are actually doing these projects and that they are not seeing all the steps. Our priority is always our clients. Time is taken to ensure that our spaces are well designed for the clients and their family. Care is taken to explain the process and construction details with the client. Designers must make decisions based on the best interest of their clients wants, needs, and budget. We want our clients to be happy with the process, happy with results, and happy to refer our company to their friends. I am happy when I am invited back into a client’s home later and I can see the finished design really functioning well for the client, and quality workmanship standing the test of time. The reality is that seeing a transformation of a space in real life is actually much better than what you can capture on camera, in reality you can see the fine details of construction and product quality, and really feel the transformation, as you walk through a completed space. Seeing the excitement of the homeowner as they settle in to their new space, hearing how the renovation has exceeded their expectations of what could be possible for the home when we first met. Helping clients through this process is a joy, helping them avoid and anticipate common and costly problems and pitfalls, and creating huge renovation transformations is what we do best. If you have never experienced a renovation before, a well planned renovation really can be extremely exciting and gratifying. Just not exactly how it is perceived from watching a very well edited and simplified version on tv. 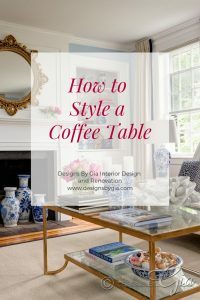 I am going to give you one small easy tip for making any living room look more finished, polished, and pulled together, that is to experiment with styling your coffee table. 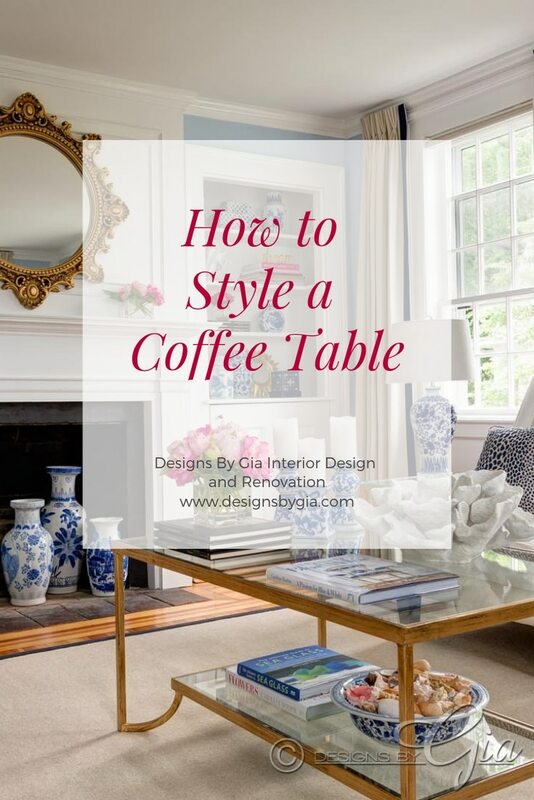 Whether your coffee table is new and perfectly proportioned to your other furnishings or it’s an existing table that you plan on replacing, eventually, it could still look so much better if it is thoughtfully styled with accessories. 1. Choose a mixture of items. An arrangement of some flowers or a plant, a tray with some smaller items grouped together, a stack of books, some candles. This is a great place to display some interesting items that you found on vacation, or some books that you love about your favorite hobby. This should be a collection of items that you love. 2. Choose items that reflect the color and design of the room. I like to add numerous items, weaving together the color tones from the rest of the room. For instance, if your room was filled with grey and white and touches of silver, you could pull in those colors when choosing your accessories. A mix of collected items that relate to each other with color or with shape and materials could be an interesting mix for your table. 3. Choose items based on proportion. Most people use items that are too small, and they just look lost on the table. However smaller items can be grouped with larger items, perhaps on a tray, this creates a grouping which appeals to the eye and creates better proportion. Use items that vary in height, this will keep the eye moving and it will be much more visually appealing. If you are going for a cleaner more contemporary look use single large items or repeat similar items in a grouping. 4. Choose items based on the size of your table. Of course, the size of your coffee table will dictate how many items you can use. Large coffee tables can be styled with a few groupings. Smaller tables, maybe use just a few well chosen items. 5. Always leave room for a cup of coffee! With a pretty coaster of course! 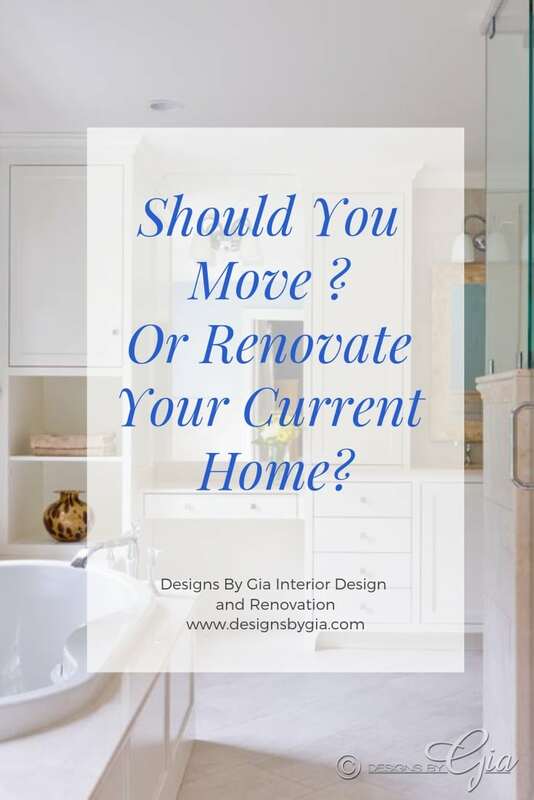 Trying To Decide If You Should You Move Or Renovate? Have you ever found yourself longing after the newly built, fully renovated home on HGTV? Do you dream of a home that checks all the boxes, including all of your wants and needs? What does this home look like? What feeling comes over you as you picture yourself walking in the front door? Maybe you are imagining a luxurious master bathroom, an organized and functional closet space, perhaps a state of the art kitchen? Your dreams may not be as far away as you think. 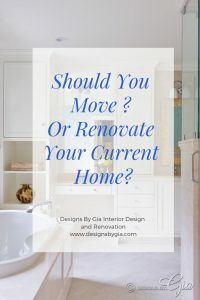 If you love your current neighborhood or location, but you are frustrated with the limitations of your space, renovating might be a great option for you! Before you write off your current space, thinking that there could be no way to create the elements that you love in your current home, explore the possibilities. 1- First, make a list. Do some journaling or simply pull out your phone voice recorder and start talking. Get out all your thoughts about what you would want to include in your new space. Think about a realistic budget, how much can you invest in a renovation project? What if you waited 6 months or a year? 2- Don’t limit yourself to only what YOU can imagine. This is a great time to involve a design professional. A simple meeting with a design professional can open your eyes to new possibilities within your current space. with your design professional, go over all of your list items and discuss what you would like to include in your home. Perhaps hire your design professional to create a conceptual design showing in detail, the proposed finished space, so you can really visualize the ideas and estimate costs. Consider the possibilities. Now that you have professional advice, a clear idea as to what could be done with a clear design plan, and an idea of the costs of renovating, it’s time to think about turning your dreams into reality. What dream home elements would you love to include if you renovated your home? 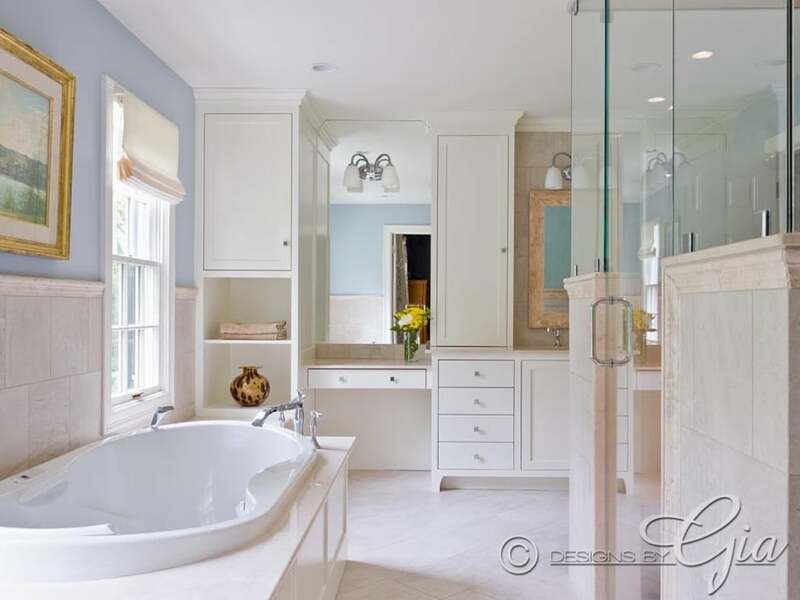 We created this luxury master bathroom from a seldom used study. 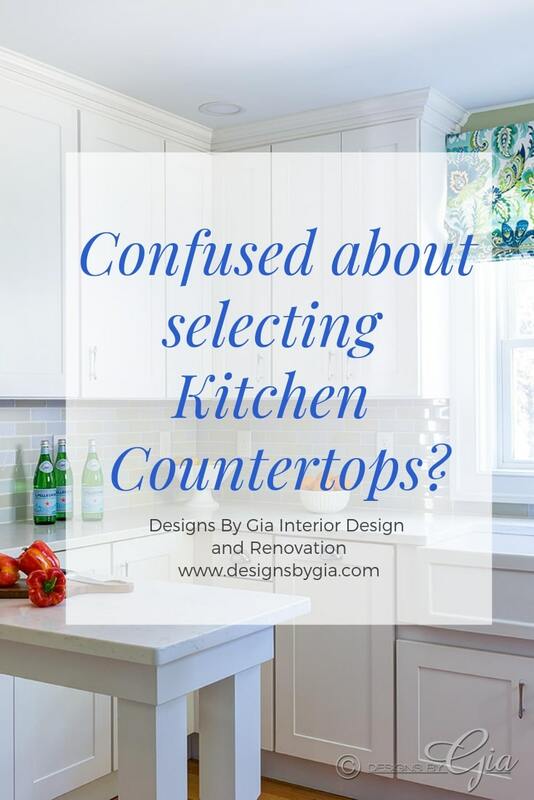 Are you confused about where to start while selecting kitchen countertops? You are not alone. There are so many options, it’s easy to get starry eyed looking at all the beautiful colors and patterns. When working with my kitchen design clients, I like to discuss functionality first, so that we really select the material that will function best for their new kitchen space. Deciding on the type of material that would work well for your needs, should be the first decision that you make regarding countertop selection. A kitchen countertop is going to take a lot of wear and tear and it’s not something you’re going to want to replace again anytime soon. Is this kitchen going to be used by an active family where meal preparation is constant? Or, will this kitchen be used to prepare meals once a week, or just for entertaining a few times a year. For an active household, we want a countertops product that is extremely durable, a material will be resistant to staining, and will maintain a really great luxurious look for many years to come, requiring little maintenance. For some clients, the kitchen is only going to be used to dish out take out and to prepare a meal here and there, so maybe this client can select a material requiring a little more tender loving care, since their kitchen might not be used as heavily. Also, if we are designing and renovating a compete kitchen space, the weight of new countertop materials must be planned for when using granite, quartz, or concrete. 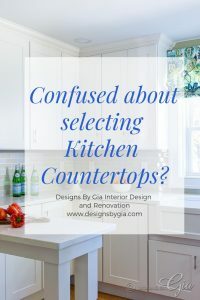 If a client is not starting with new cabinets, the existing cabinets must be able to support the additional weight of these countertop materials. Quartz countertops are having their moment right now as far as popularity, Quartz countertops are easy to maintain and have the look of real marble and stone. They are a man made product so the design is more consistent than a natural stone or granite, but can be just as beautiful. Concrete countertops: concrete countertops can give an edgy industrial look to a space. They must be planned for well in advance to set up the cabinetry for concrete countertops. Concrete countertops can be vey durable if fabricated properly and sealed. This is not a do it yourself project. Then of course granite or natural stone, which is very durable and will perform great in an active kitchen with very little maintenance. 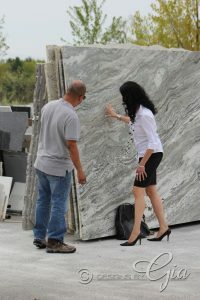 Being a natural stone, the varieties and colors are limitless. If I have a client who is dreaming of a beautiful white countertop for their new kitchen design, a white marble is beautiful, and in a kitchen that is not extremely active, it might preform well. But in an active household, marble, being a very porous stone is very prone to staining. So that dreamy white marble countertop might not look so dreamy in a few months once it is covered with unrepairable stains. A white quartz product that looks like marble, is what I would recommend to this client. The look of marble with very little maintenance and no stains. 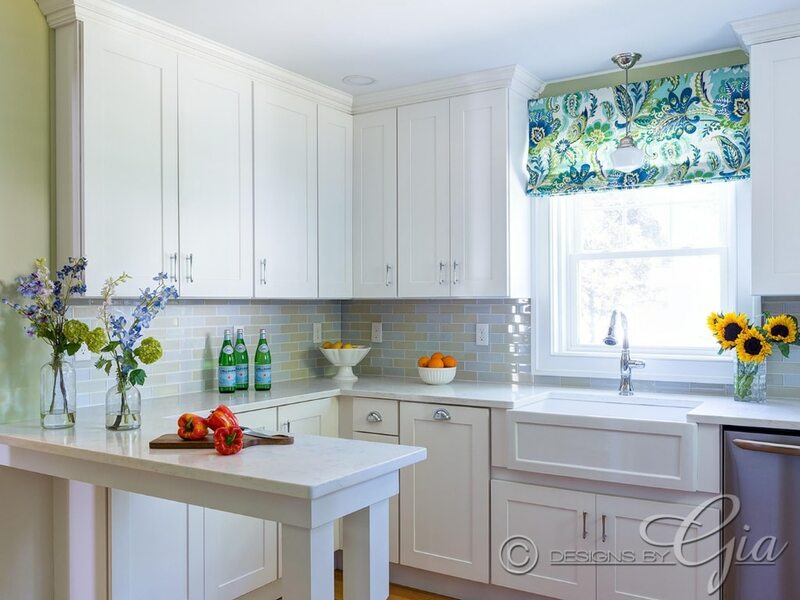 The varieties of colors and options can be limitless, but if you narrow down the material selection first, the process will be much smoother, and you won’t fall in love with a countertop that won’t stand the test of time in your kitchen. This on-site consultation is the first step in the design process and this is where we start every project. This appointment takes about an hour or so and has a high value to the planning of any design and renovation project. First, I walk through the space with the client, then I will discuss the client’s concerns about the space, listen to their thoughts, ideas, and goals, addressing any problem areas that the client wants to discuss. During this appointment we answer specific design questions, make general suggestions, and offer ideas as to the best way a client can reach their goals. A consultation also allows the client to get a general frame of reference for the cost of the projects that they are thinking about so they can prioritize their needs and determine the best use of their funds and the overall project scope. For the client that wants our full service design and build/implementation, we will discuss design fees and review the next step in the process, which would be creating a conceptual design. For the homeowner who wants to do the project themselves (DIY), this consultation with a professional can be very valuable, providing information that will help steer them in the right direction and help them to avoid common pitfalls. During our consultation, you will walk away with ideas and insights that took me 20 years of experience to develop. 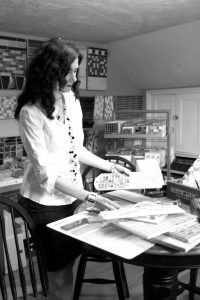 From the moment this designer enters your home, I look for ways to help my client avoid many of the common and costly mistakes that homeowners make when undertaking an Interior Design or Renovation project. I cannot wait to transform your home!